Separate the eggs using an egg separator. Beat the egg yolks with hot water until frothy. Add the sugar, the vanilla flavor, and the lemon extract to the eggs bit by bit and beat until the egg mixture is creamy. Use a different bowl to beat the egg whites until stiff. Place the egg whites on top of the egg yolk mixture. Mix the flour, starch, and baking powder and sift over the eggs. 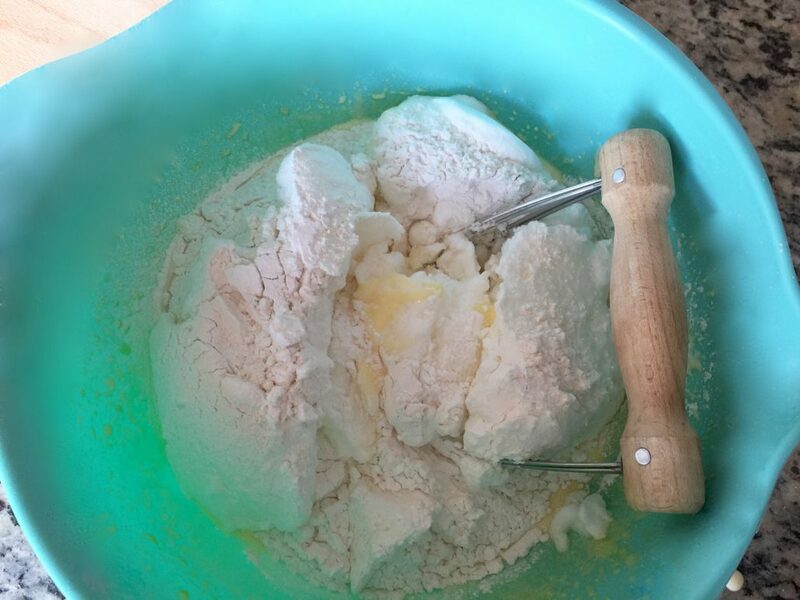 Use a pastry blender or whisk and gently fold the flour mix into the eggs — folding from the outside towards the center while turning the bowl slowly. Do not stir! 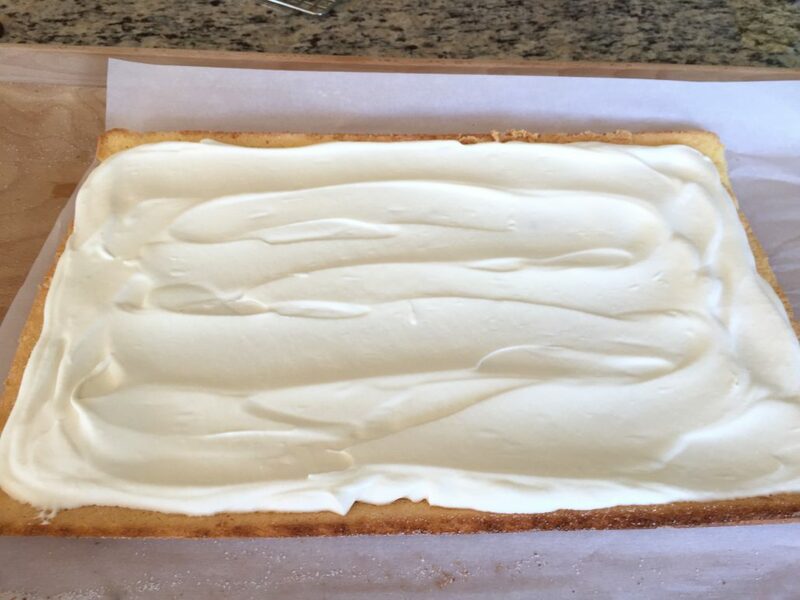 Spread the batter evenly on a baking sheet (size 17 x 11 inches) covered with baking paper. 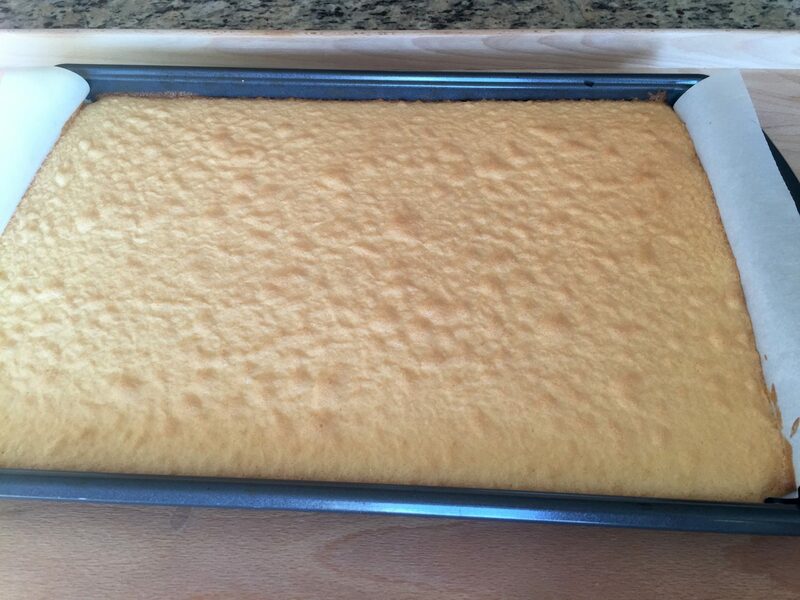 Bake the sponge cake in a preheated oven on the middle rack at 200°C (392°F) for about 12-15 minutes. Take the cake out of the oven. Loosen the cake from the sides of the baking sheet with a knife. 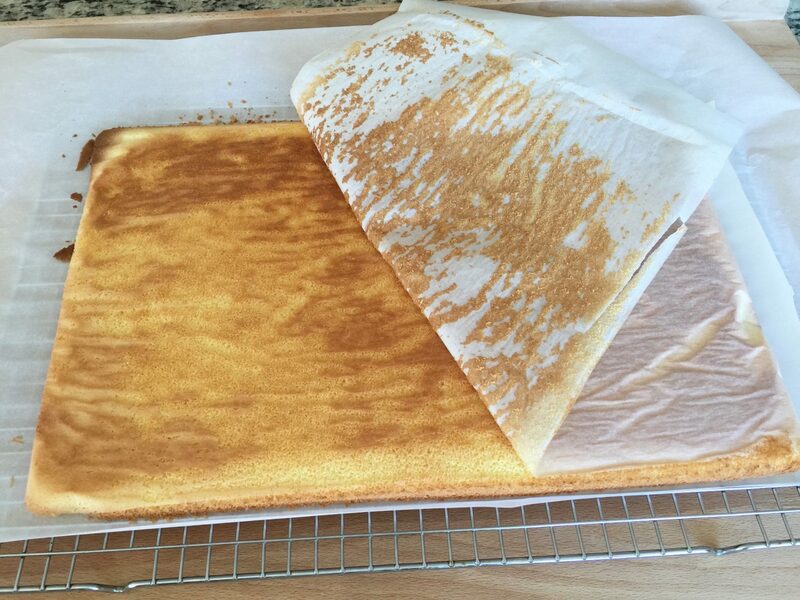 Flip the cake upside down onto a cooling rack that is covered with baking paper. Gently peel off the baking paper used for baking. Sprinkle some sugar onto the cake and cover with a new piece of baking paper. 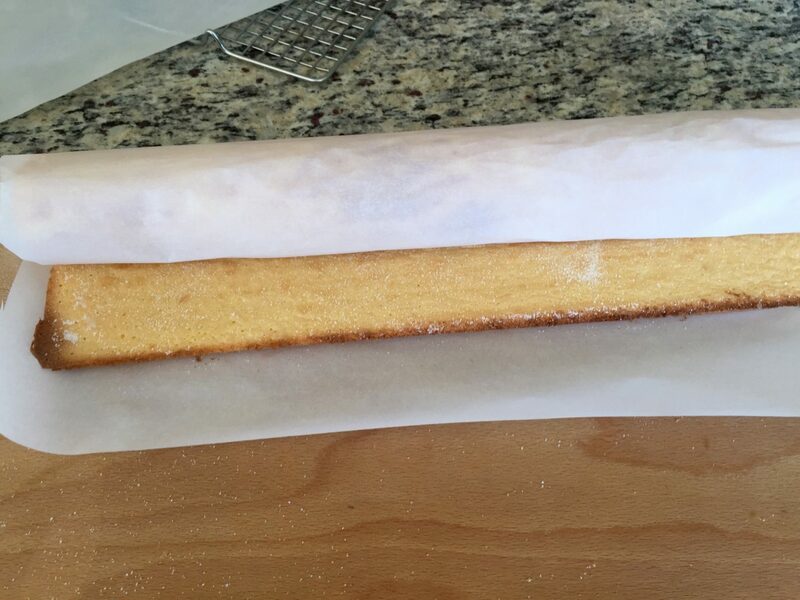 Flip the cake again with the baking paper and immediately roll the cake (I like to roll the long side, but you can also roll the short side) with the paper. 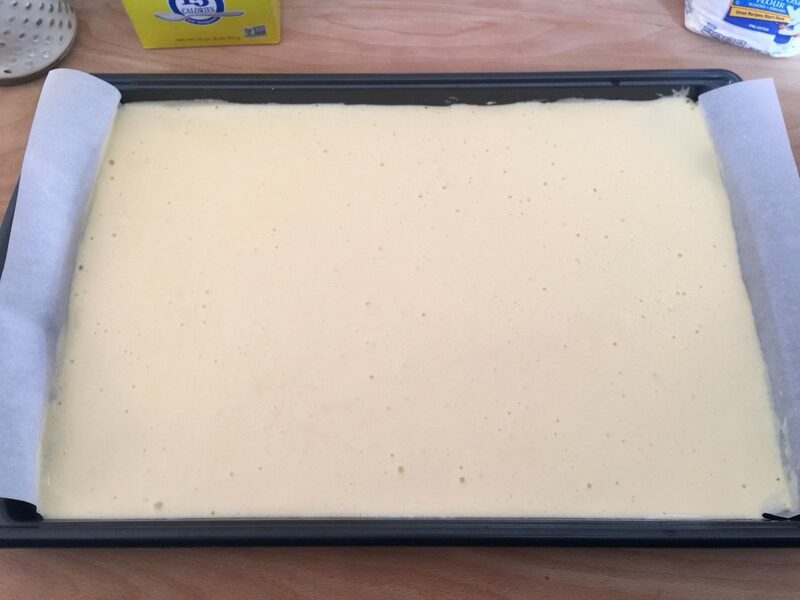 Keep the cake in the rolled position for about 10 minutes and unroll the cake until it is flat again. Your cake is now ready to be filled. Cut the lemons in half and press out the juice. Pass the juice through a sieve and set aside. Pour four tablespoons of water in a bowl, sprinkle the gelatin in the water and stir with a fork. Let the gelatin soak for about 5-10 minutes. Dissolve the gelatin in a bain-marie. 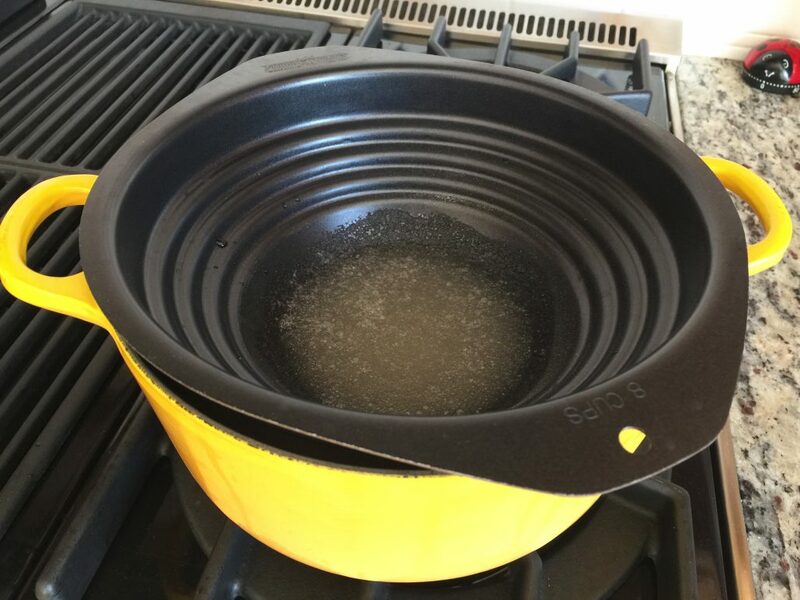 Take the gelatin off the stove and stir the lemon juice into it. Let it cool down a little. Beat the whipping cream in a bowl until almost stiff and add the powdered sugar or confectioner sugar to the cream. 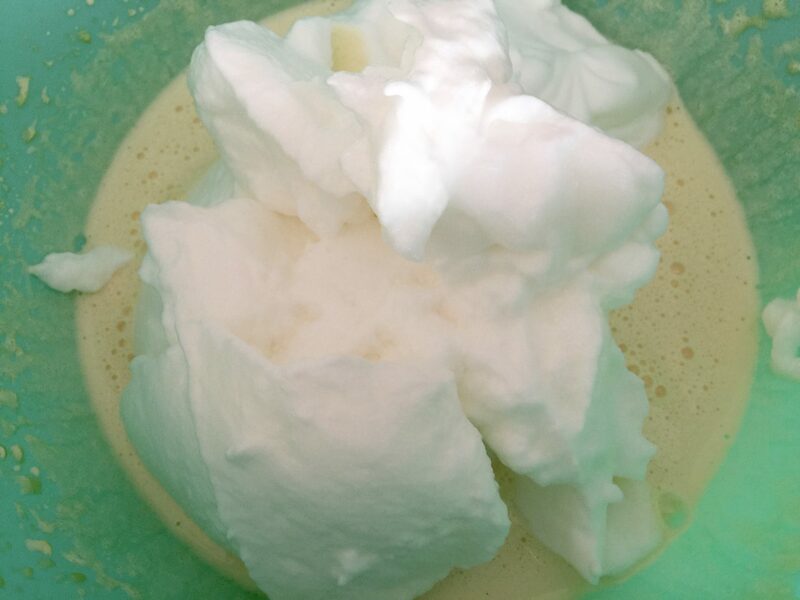 Add the gelatin/lemon juice mixture slowly to the whipped cream and beat until ingredients are combined and smooth. Spread the whipped cream mixture onto the sponge cake. 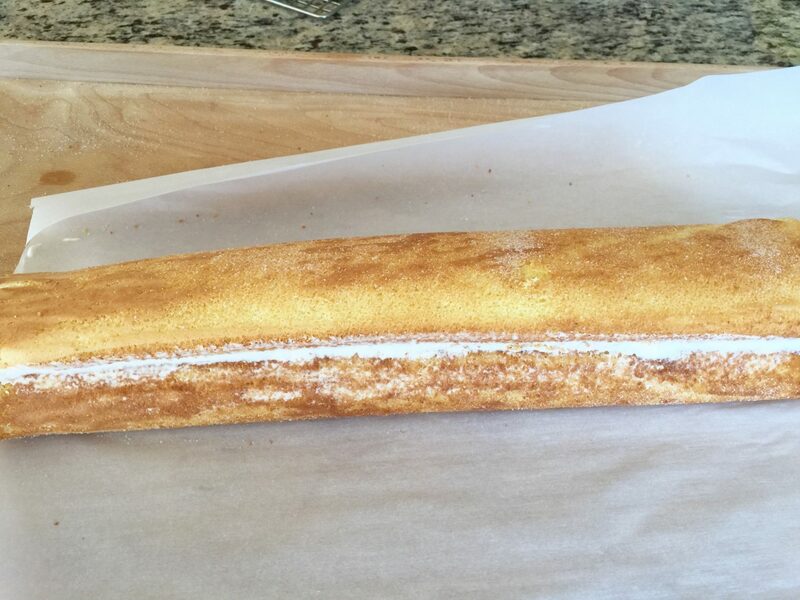 Roll the sponge cake with the cream and place it in the refrigerator for about 3-6 hours to harden. Sprinkle confectioner sugar or powdered sugar on top of the cake and place the cake on a serving plate.